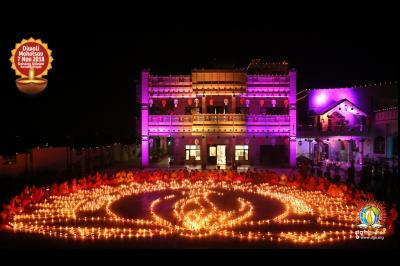 Jalandhar, Pathankot, Bhatinda, Hosiarpur, Ferozpur. World Water Day 2015 was an occasion to raise water saving alarms for the locals of the land of five rivers- Punjab. On Sunday, 22 March 2015 under the DJJS Sanrakshan led SAVE EVERY DROP OF LIFE- a special World Water Day initiative, DJJS branches based in Pathankot, Hosiarpur, Ferozpur, Jalandhar, Bhatinda and Ludhiana undertook special water conservation awareness initiatives in their respective areas to sensitize masses on the value of water and dire need of its conservation. Recent satellite imagery and water monitoring systems indicate that the food-basket of India is witnessing serious decline in groundwater. Lack of awareness among users and improper management of the available resource are the primary reasons of prevailing water crisis. “Despite regular water shortages and drying aquifers, the common man remains ignorant of water conservation methods, those who have access to water indulge in wastage leaving thousands deprived from water resource, depleted water resource will leave behind devastated Punjab, thus it’s time to launch a public movement to save and take care of the available resource”, said DJJS representative from Punjab. In this pre- context, DJJS Punjab through its spiritual platforms and dedicated awareness walks and mass awareness campaigns undertook an intensive water awareness drive in the state. In Pathankot, hundreds of selfless volunteers of DJJS, including men, woman and children, took to streets raising slogans of “paani bachao jeevan bachao”. In Jalandhar, a band of over 30 volunteers walked into the Dusshera Ground Park, Model Town on Sunday evening to sensitize people in and around the area to shoulder their water responsibility. 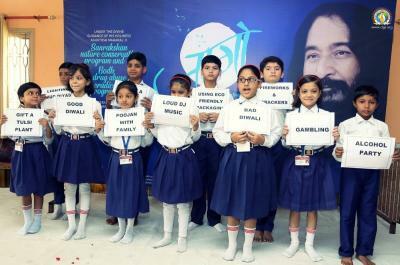 Enthused by their zeal hundreds came forward to take their water saving commitments. 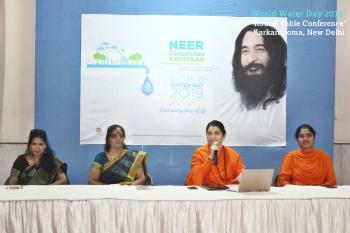 Hosiarpur, Ferozpur, Bathinda had enlightening water awareness sessions through DJJS spiritual platform, unveiling the socio- spiritual significance of water conservation, thereby re-establishing the much needed human- nature relationship. 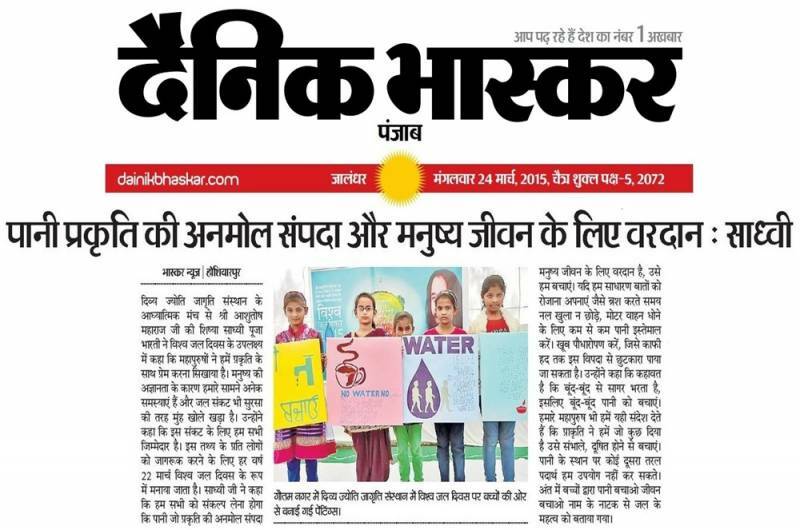 On the occasion of World Water Day 2015, DJJS Nature Conservation Program Sanrakshan undertook a special water awareness drive SAVE EVERY DROP OF LIFE across India. Hundreds and thousands of people were sensitized towards the looming issue of water crisis and motivated to head towards water saving lifestyles.